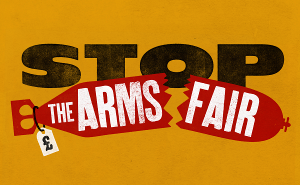 Want to stop the DSEI arms fair? Want to stop arms sales to Saudi Arabia? Want to get involved? This will be a great opportunity for people who saw actions at DSEI last year and wondered how to get involved! You can learn more and get stuck in to #StopArmingSaudi and to #StopDSEI 2019! What is non-violent direct action and why would we take it? Specific direct action tactics: get stuck into blockading and rule breaking! What’s involved? Thinking through action planning. It will also be a great place for people who’ve taken action before to come along and learn more about how we run these trainings. You can take that experience away and skillshare with your own group, with our support. We will have a theme of arms trade actions, but the ideas we will explore and the skills we will be practicing will be relevant and applicable to actions on other lots of other issues as well, so anyone is welcome! The venue is fully wheelchair accessible, very near to Euston Undergound station and various bus routes – more details at the venue website.